The Trinity College Working Papers in Linguistics is a new publication from the School of Linguistic, Speech and Communication Studies. It is seen as the natural successor to the Occasional Papers series, and is an annual publication, edited by Ph D candidates. 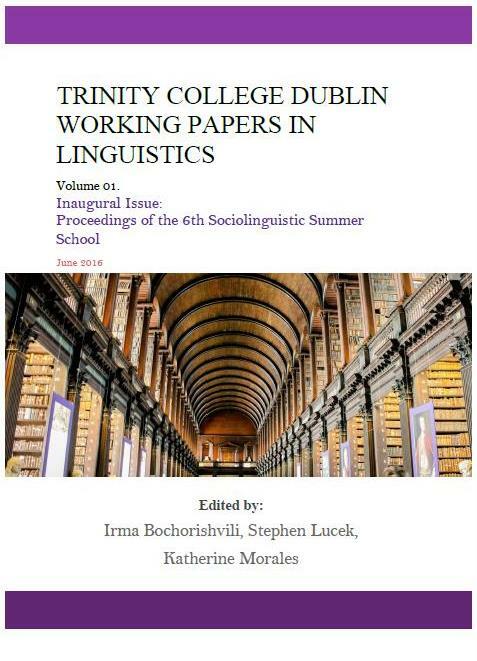 Our inaugural issue features the proceedings from the 6th Sociolinguistics Summer School, held at Trinity College in August, 2015. Download the Inaugural Issue of The Trinity College Dublin Working Papers.